Target Racing Team was born in january 1997 to combine the many experiences in the best motor-racing categories (Formula 1, Formula Indy, Formula 3000), the passion and the spirit of enterprise of the founder, Roberto Venieri. You can find above a synopsis of the team’s major achievements from 1997, when Target started his effort in the italian Formula 3 Championship and Formula 3 Federale Championship, till 2002, a triumphant season topped by the victories in the Formula 3 Championship and Trofeo Csai F.Renault Monza under 19. The 2003 season saw Target establish his dominance at the top of the F.3 with a second “tricolore” shield in a row, conquered by Fausto Ippoliti who got two races under his belt. Also Omar Galeffi, in Pergusa, signed a win, in a week-end where the second step of the podium climbed by Ippoliti iced the cake for Target. In 2004 the romagna-based team started with two Dallara 304-Opel entrusted to Alessandro Ciompi and Andrea Tiso. During the season Ciompi left the team, but before the change he signed a pole position with Target. 2006 was a turning point for Target: the move from the Dallara chassis to the equally Italian SLC one, and the decision to measure themselves in a more competitive championship such as the German one. Target, in collaboration with the SLC technicians, devoted to the development of the cars, fielding Riccardo Azzoli and the promising Salvatore Gatto again, the duo that Target had already brought on-track in F.Azzurra. The results gained by both were interesting, but unfortunately budget problems hampered work done. After a 2007 season away from motorsports to focus on preparation, the Ravenna-based team was back in Italian F.3 in 2018, in a spec Dallara-Fiat series, with 2007 F. Azzurra Champion Salvatore Cicatelli. The 2008 season featured the Target team, joined by Giuseppe Mazzotti's BVM, among the stars of the Italian series. Cicatelli established himself among the best national prospects by taking third place and the chance to test a F.1 Ferrari in the postseason prize test. In 2009, however, the Italian increased in terms of car counts and interest from the media. And Target-BVM focused on the run for title, eventually leading Daniel Zampieri to the ultimate victory at his F.3 debut. An outstanding result, confirmed by the second place of team-mate Marco Zipoli. At the end of 2009, Zampieri and Zipoli could test the F.1 Ferrari at Jerez. Zampieri was also chosen by Ferrari for the new Driver Academy program: another reason for pride for Roberto Venieri and all his staff. In 2010 it was another exciting season for Target-BVM. 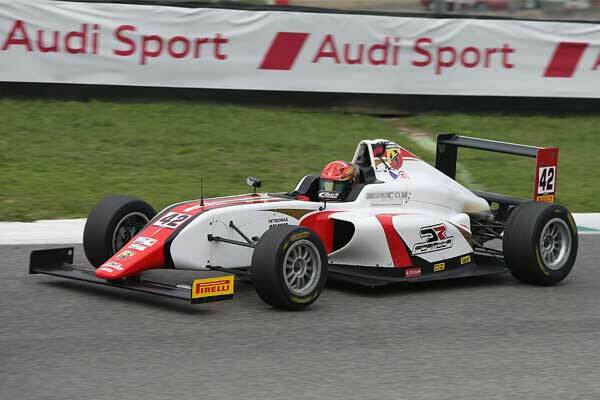 This time it was Cesar Ramos to secure the national F.3 title, a goal achieved in the season finale at Monza. It was a phenomenal satisfaction for the team based in Lugo di Ravenna, that had already extended its activity to the grand touring cars in the Trofeo Lamborghini. The results were great too because even in this category Venieri took home first place using the name Black Bull! In 2011, there was a small big revolution. Target, always united with BVM, joined the World Series Renault 3.5 with drivers Daniel Zampieri and Sergio Canamasas. Roberto Venieri's team focused on the preparation of the powerful cars provided by Dallara, leaving the BVM headquarters to manage the F.3 cars, and continuing to field GT cars under the Black Bull banner. No more Trofeo Lamborghini, but Endurance races, with a Ferrari 430 lined-up in Blancpain GT and in the races organized by Peroni Promotions. In the World Series Renault, there were plenty of good results with Spaniard Canamasas capable of signing off a pole position in Budapest and scoring podium finishes en-route to an eighth finish. Not bad for a rookie team in such a high-profile international championship! In 2012, the World Series Renault 3.5 operation continued in a double commitment that saw BVM Target line-up in single seaters and Black Bull enter the Blancpain Endurance GT. 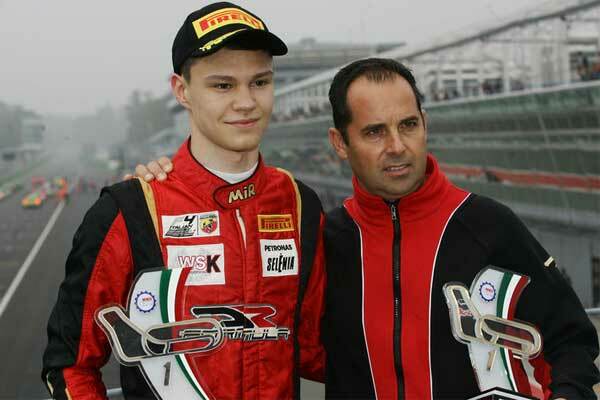 The drivers for the 3.5 championship were Italian Giovanni Venturini and Russian Nikolay Martsenko. The points finishes started to come soon, but Venturini decided to leave after only four rounds. Venieri then lined-up other drivers like Sergey Sirotkin, Tamas Pal Kiss, Daniel Zampieri and Davide Rigon, while retaining the services of Martsenko. At the end of 2013, the team called time on their World Series Renault 3.5 campaign, moving full-time to GT under the Black Bull banner. 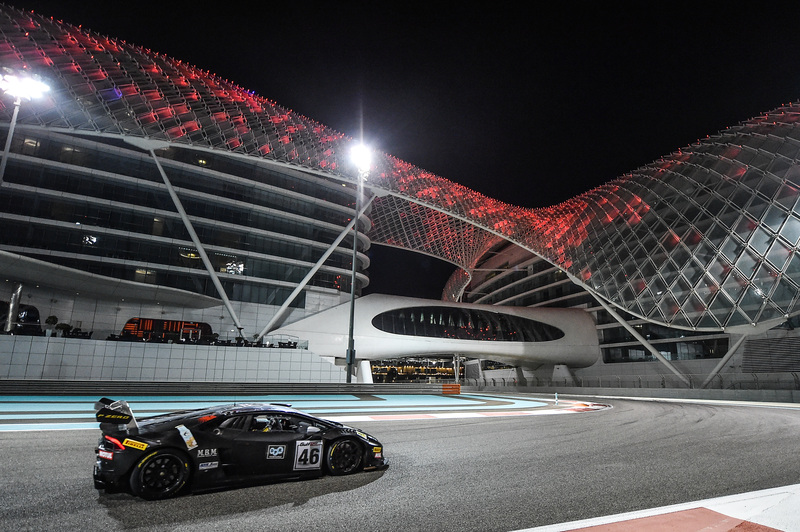 The team raced in the Blancpain Endurance GT, GT Italia championship and Coppa Italia Peroni Promotion races.